My son Name Visible on Login is a very fun loving, jovial and a good human being.  He has a degree in Hospitality and Hotel Management, and is working for a very prestigious Hotel in Dubai. We are a very close knit family. The girl who comes to our family will be welcomed with open arms, and will stay as our daughter. Ours is a middle class, nuclear family with moderate values. We are a reputed family from Mumbai Thane. His father has retired while his mother is a working professional. He has one sister, who is married.